Caterina has a background in academic research with a strong technical component. 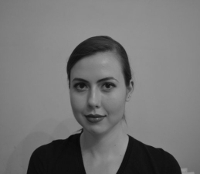 She has completed her PhD in emotion research, and has 5 years' experience with statistical programming in R. Caterina also organizes the EdinbR meetup, and has been involved in research projects on NHS data. Check out her posts here. Joanna has a PhD in particle physics and has spent the last ten years working in the energy industry with a strong focus on wind farms. She has experience managing a team of analysts, and a particular interest in the way people use technology to solve problems.